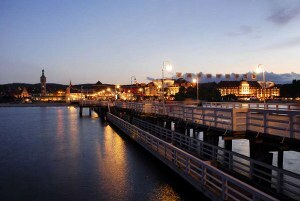 The conference will be hosted by Gdynia Maritime University (Akademia Morska in Polish), located about 2.5 km from the city center of Gdynia. 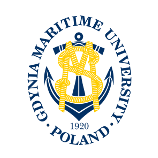 Gdynia Maritime University is a specialized technical university and the largest Polish and European Centre for higher maritime education. Since 1920 the University has been preparing graduates for officer positions on board merchant marine vessels and for managerial positions at the land-based institutions and companies representing the maritime industry and seaside regions. The University's four Faculties offer degrees in Navigation, Marine Engineering, Marine Electrical Engineering andBusiness Administration. 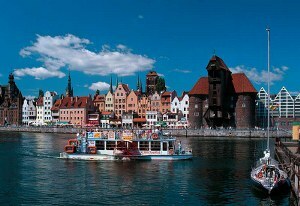 At present Gdynia Maritime University provides studies for 8000 students. The programs of studies satisfy both Polish educational standards provided by the Ministry of Education and also the requirements of the International Maritime Organization – IMO. 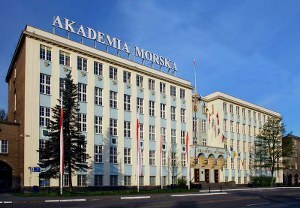 The academic staff – representing doctor of science degrees and scientific titles of professor, in many cases accompanied by highest marine diplomas of Master Mariner, Chief Engineer Officer and Shipboard Electrical Engineer – is supported by laboratory facilities with 25 specialised simulators and the quality of education management system implemented by the University, ISO 9001. The Maritime University actively cooperates in the conduct of joint research projects, preparation of young generation academic staff and in the exchange of students with 18 maritime institutions of higher education within international organisations such as: European University Association (EUA) and International Association of Maritime Universities (IAMU). 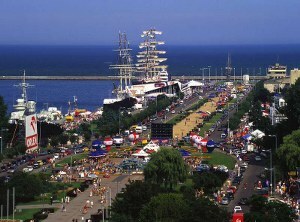 You can read about the history of the University .. here ..
"Dar Młodzieży" - a world-famous, splendid, tall ship which visits the majority of the world ports in its capacity of an Ambassador of the Republic of Poland. 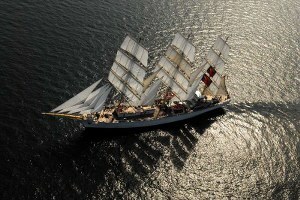 "Horyzont II" - a research and training ship, during its expeditions to the Arctic and Antarctica employed to perform research works in co-operation with the Polish Academy of Sciences.